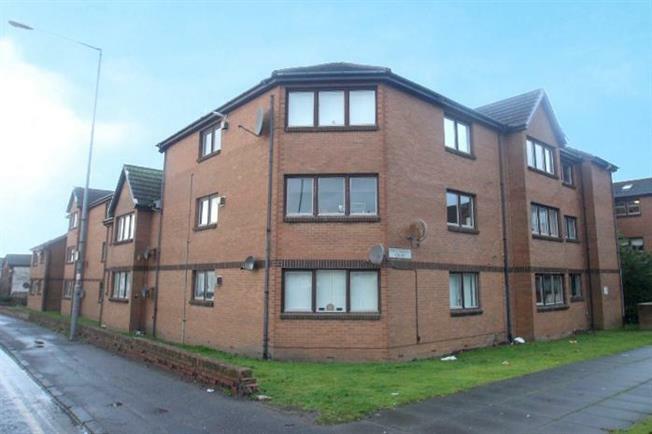 3 Bedroom Flat For Sale in Motherwell for Offers Over £40,000. Excellent three bedroom property offered to the market in this central location close to local amenities and transport links. The property comprises of long welcoming hallway with all main apartments leading off. The bright and airy lounge has front aspects and leads directly to the kitchen which has a range of base and wall mounted storage units. There are three well proportioned double bedrooms that will not disappoint for size. Completing the accommodation is the family bathroom comprising a three piece suite with shower over bath. Furthermore the property has gas central; heating, double glazing and residents parking. Please note this property is on a sold as seen basis with no warranties or guarantees given.